Stayed at Black Sheep Hostel for two weeks in a private room and couldn’t have been happier. 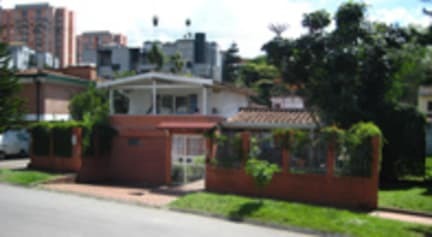 Great location within walking distance to a supermarket for groceries and everything you could want in el poblado for nightlife. Staff were super friendly and very helpful. My room was clean and beds were comfortable. Would definitely stay there again. We loved our stay at Black Sheep. Location was great in a quiet neighbourhood but close enough to walk to bars/ restaurants/ public transport. The private 4 person room was huge, comfortable and clean. Kitchen was one of the best equipped we’ve seen. Staff super friendly. The only thing to be aware of is that it’s not super sociable. For us it was fine as we were travelling as a group. Lovely atmosphere, comfy beds, and very helpful staff. Happy for me to leave my bag in the hostel (in an open area) after check out before I caught a late bus. Lockers are in the reception rather than in the rooms which is mildly inconvenient but perhaps more secure as the staff at reception can see them! This was my second time at black sheep and it was great. 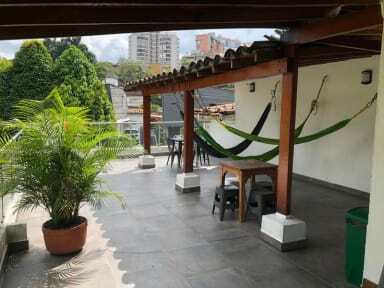 It’s clean and close to the metro and Poblado. The staff are all very friendly. The vibe obviously changes depending on who is there but both times it was really easy to meet people as a solo traveler. Lovely hostel with super nice staff. Highly recommended! Incredible hostel. Owner from NZ is bang on. Helpful staff. Had the best sleep in all of Colombia at this hostel. The staff was top notch. Met a lot of people here from across the world. This hostel is pretty nice. The staff is very helpful, and the organized tours are good. The bathrooms are clean, and beds are nice. The wifi sometimes does not work. The location is alright. It’s pretty close to Exito, the huge supermarket. It’s about a ten-ish minute walk from Pablado, the main area. The vibe is very chill, and I met some pretty cool people here! Overall, a good stay!